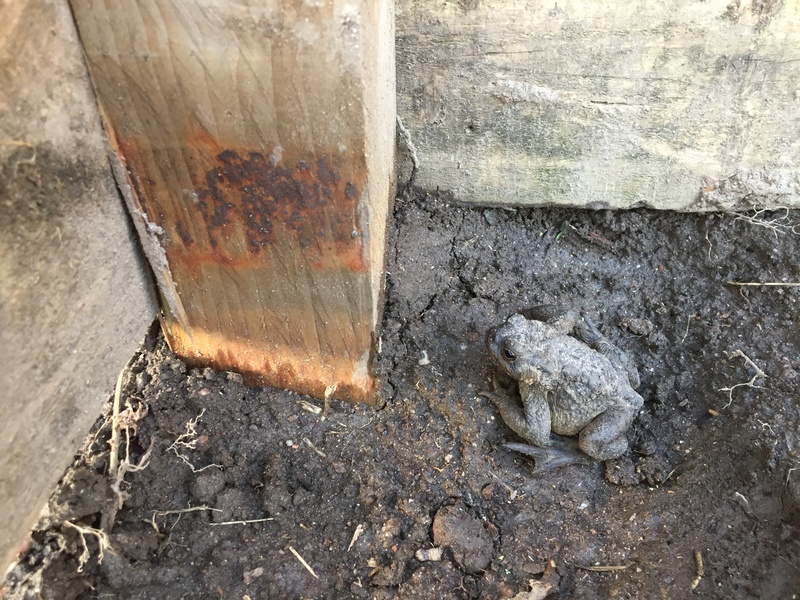 This poor little fella was disturbed and left shivering yesterday after being disturbed from his winter-lair when a new compost bin was being built. We did our best to find him new accommodation, but I fear he faced a long cold night. Can anyone say whether he is a frog or a toad, or indeed a prince? Definitelya toad! You can tell by the dry bumpy skin! Hopefully it found a snug place to hibernate again!